I think everyone sees the rise of androgynous style. It’s okay to see ladies wearing boyfriends and oversized clothes on the streets. Mannish fashion dominates casual wardrobe. But there are still ladylike garments that can make us look ultra girlish and sweet. 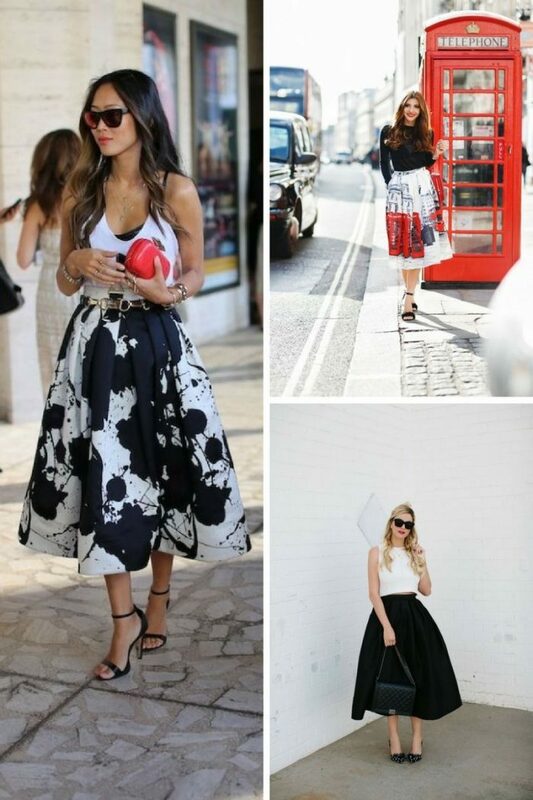 In today’s post, we are about to see fresh ways of wearing full skirts. Believe me, this garment will flatter everyone. 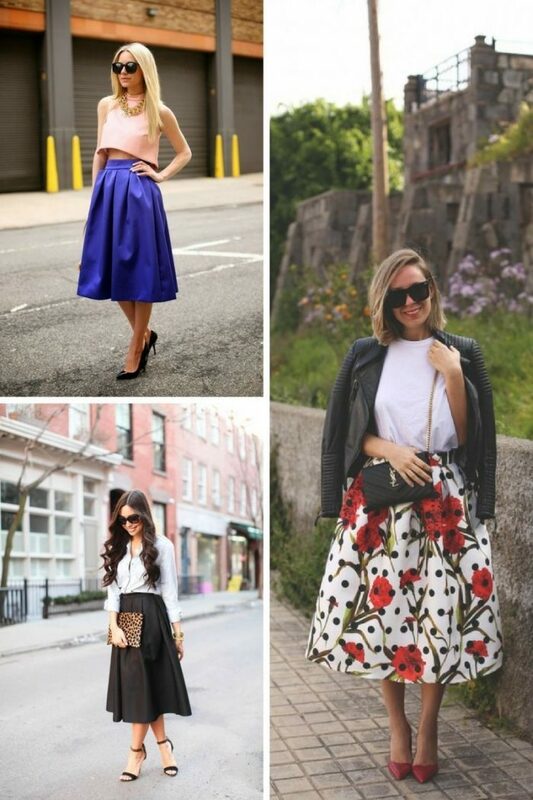 No matter if you are tall, petite, curvy or plus-sized, full skirt is a perfect choice for making a real statement on the streets. Why do so many ladies wear exactly full skirts? It’s obvious, this garment has one of the most feminine silhouettes ever. You can incorporate it into almost anything you want. If you want to get some inspiration, then you are more than welcomed to look through this compilation. As you can see, this skirt gives a wonderful shape to the bottom half of your body. You can keep your outfit feminine and sweet by wearing floral or palm printed full skirt with a simple white polo-shirt. This is one of the simplest ways of wearing this beautiful piece. All you need is a plain colored top and ladylike accessories. If you want to wear this marvelous garment to the office, then you should create an easy, elegant look. I know many ladies who afraid of wearing full skirts to work. They believe working outfit should be sleek and polished. That’s not true! You can pull off full skirt look for the office without any problem. All you need is a tailored and pressed shirt tucked in a skirt made of sleek materials. As I have already mentioned, full skirt gives you a fun silhouette, that’s why you won’t find it hard to incorporate this bottom garment with monochromatic outfit. This outfit gonna a perfect match for your everyday lifestyle. If you need an edgy look, then be sure to try on cool jacket made of leather or denim. The feminine skirt and edgy jacket combo will create a perfect balance. I know many gals who want to create a preppy look, that’s why my advice is to try full skirt with a cute collared shirt and sweater. This combo is a perfect way to make you look sweet and elegant. How about wearing edgy boots with your favorite full skirt? Skirt’s ideal length for pairing with your boots is the midi length. You can either wear knee-high boots or keep everything casual by adding ankle-boots. The skirt will for sure emphasize your shoes. In search of something sweet and beautiful? Go for ballerina-like skirt and pair it with form-fitting black top. This look gonna flatter your body ideally. 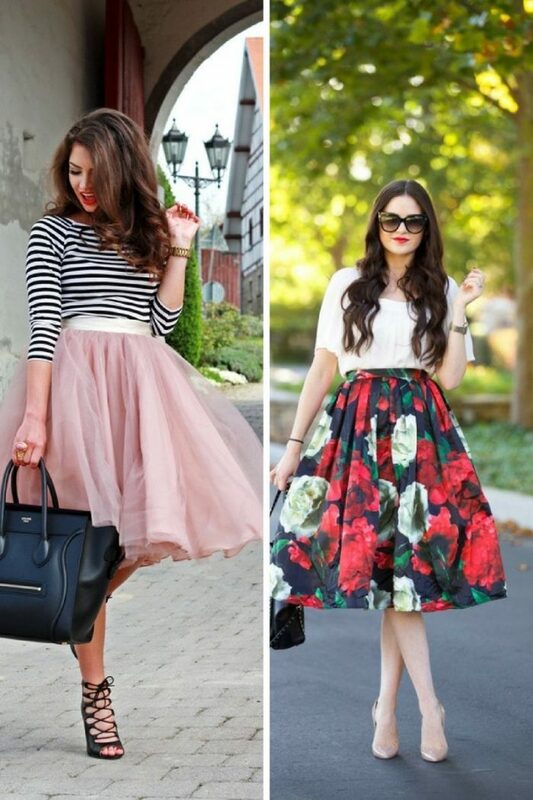 Do You have any thoughts about Full Skirts Inspiring Outfit Ideas? 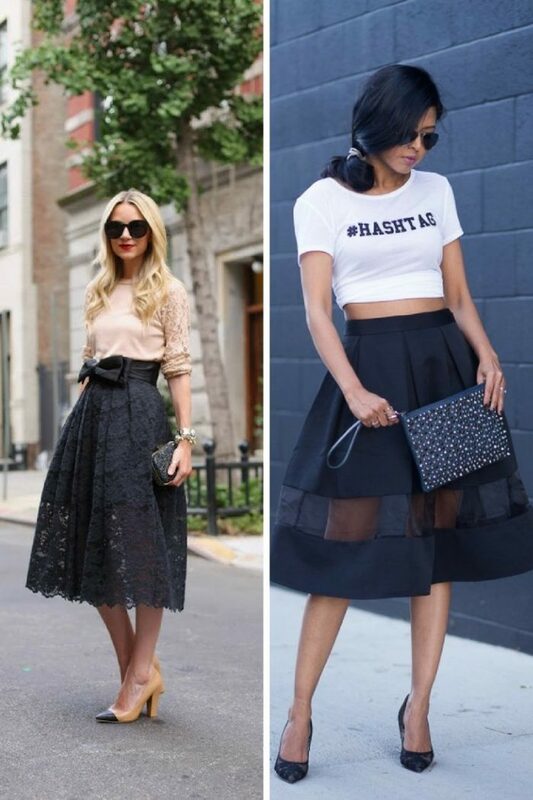 Here are Fashion Tips pictures and trendy women’s outfits which are in style in 2019: Full Skirts, Full Skirts Outfit Ideas, Must Have Fashion Trends For Women, Street Style Women's Fashion And Inspiration and tips on how to wear them on the streets.